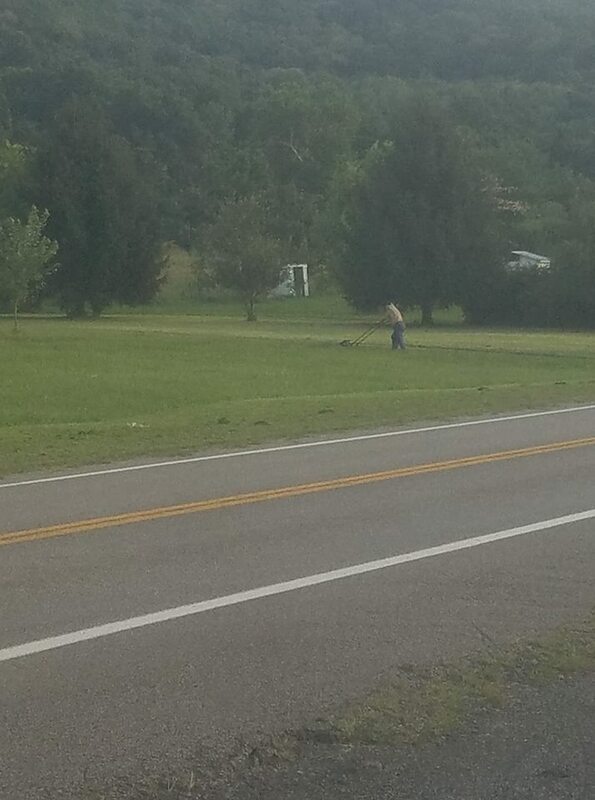 A man who runs a lawn service company in West Virginia helped a man cut his lawn for free and is in the process of buying him a brand new riding mower. On August 9, James Johnston of J&J Lawn Service, drove my a man attempting to cut his large yard with a push mower. “On my way home from a 12 hour day of cutting lawns, I seen this gentleman, I have no clue who he is to this day. But I said no way was I gonna let this guy tackle this on his own,” Johnston said. “So I turned around and went back and unloaded my mower and drove across the street and ask the gentleman if I could help. His eyes lit up and I took that as a yes. I ran down, jumped on my mower and went to work. As I’m cutting the lawn I look over and see the gentleman hunched over his wife, resting his head on her shoulder. So I get it knocked out in no time. I give them a thumbs up and proceeded to load my mower up. But Johnston didn’t stop there. The next day he launched a GoFundMe page to raise money to buy a new riding mower for the family.